Web Authentication page manages settings for authentication on web crawling. Select Crawler > Web Authentication in the left menu to display a list page of Web Authentication Configuration, as below. 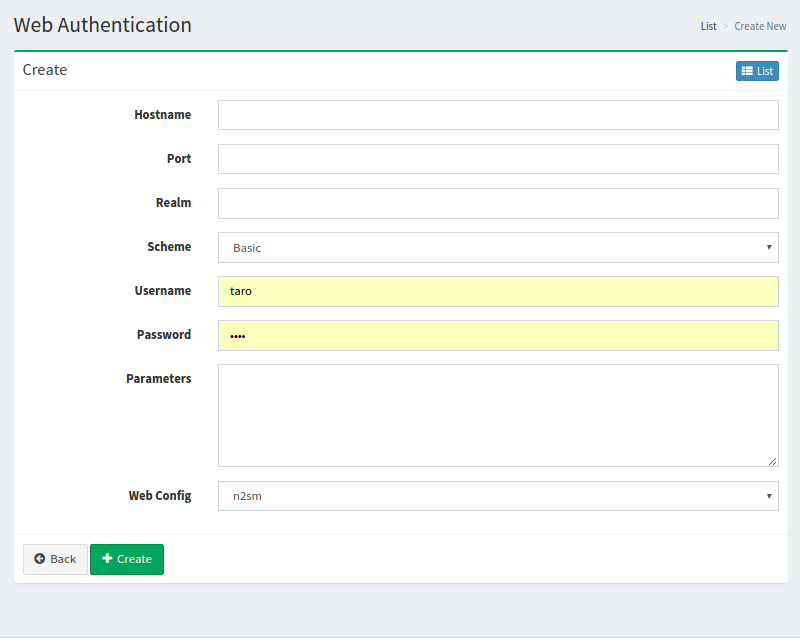 Click Create New button to display a form page for Web Authentication configuration. Web Crawling for this configuration. Click a configuration on a list page, and click Delete button to display a confirmation dialog. Click Delete button to delete the configuration.